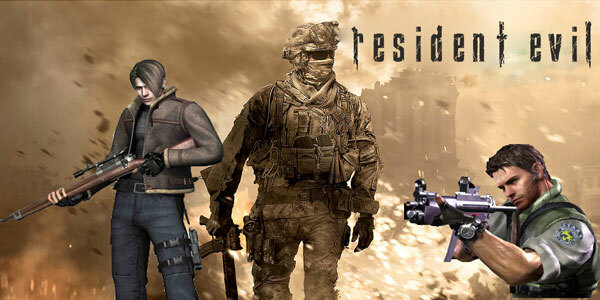 Did you know that Resident Evil 5 was the biggest seller of the Resident Evil franchise? For as bad as people claim it to be, marketing head of Capcom Dave Turner told MVC magazine that the popularity of the series has surged since the release of the action-packed Resident Evil 5. This, Turner explained is why the series has taken a more dramatic turn towards action, as seen with Operation Raccoon City and will more than likely be seen with Resident Evil 6. It makes sense to explore action more fully with Resident Evil…The dream would be that the millions of Call of Duty fans that are enjoying fast-paced online games are attracted to this [kind of] Resident Evil. \We’re not quite sure what that means for the rest of the series. Obviously you have the action-oriented Operation Raccoon City and Resident Evil 5, but fans will also be treated to the more atmospheric, traditional style Resident Evil: Revelations. As noted by many readers, it’s still a little too early to peg what Resident Evil 6 is going to be like. From the trailer, there’s obviously a lot of intense action moments, but those could be interspersed with some traditional Resident Evil horror. It’s pretty clear ‘why’ a publisher would want to get a chunk of Call of Duty’s fanbase. Activision reported sales figures for Modern Warfare 3 in the United States and the United Kingdom being more than 6.5 million on launch day. Not to mention the insanity of the success of Black Ops, and almost every other game that company seems to *ahem* release. What kind of company wouldn’t want that for their game? Or their series? However, it’s unclear at this point which route Capcom is going to take with the series fully. Will there always be a mixed bag? Will Resident Evil 7 be full on action, or will they go the traditional route? Only time will tell. Either way, good luck to Capcom – because if you’re looking to attract Call of Duty fans, the arena might be a little crowded. Quite frankly, we’re still struggling to grasp the concept that RE5 was a bigger seller than RE4.